Hello Tuesday! Hope you all enjoyed a relaxing, sunny, and bitterly cold Family Day long weekend? Yours truly bundled up for a couple of afternoon walks in the park to unwind knowing this week is going to be full of action with the Artist Project in town! If you love contemporary art and are in the market for new pieces for your home, this is your chance to explore and discover works from over 250 top talents from Canada and around the globe. Today I am sharing some of my favorite artists and they are all from Toronto! 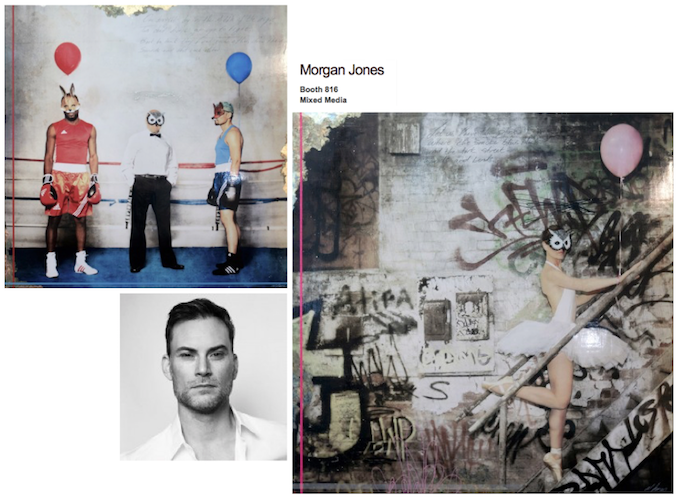 Moran Jones' specialty is mixed-media and he is inspired by "... the casual observation of the people and life around him...". I particularly like the contrast between the rough, almost abandoned warehouse-like background and the crisp, bright colors + whimsical persona of his subjects. I also like the subtle vertical and horizontal lines running along the left and bottom edges. 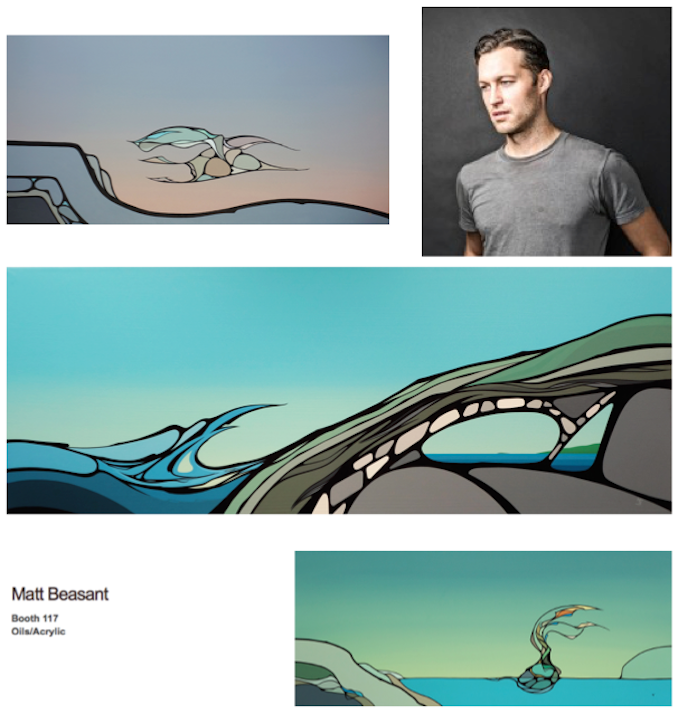 Matt Beasant is up next and his abstract expression of the Canadian wilderness is perfected through the use of vivid colors, crisp lines, and silky smooth layers of thin acrylic paints, transforming ordinary landscapes into imaginary worlds. Matt's appreciation of nature and his expression of Canadian landscapes remind me of Aboriginal Art and Chris already said he wants the middle piece below! Want something delicate and soothing? 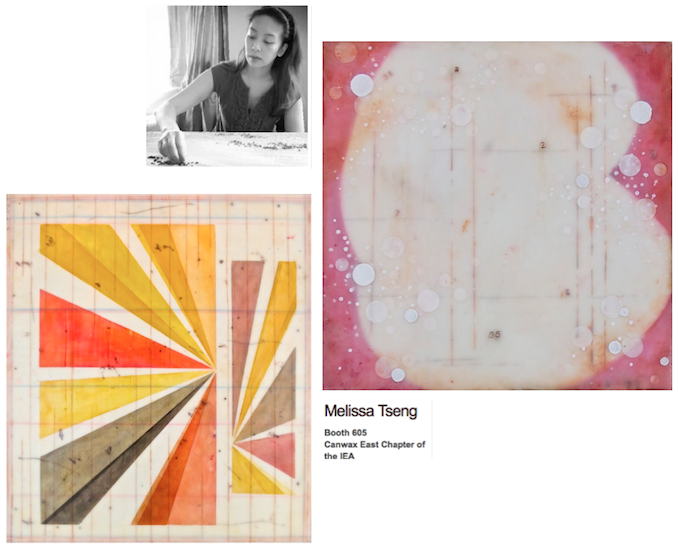 Melissa is known for building up her large-scale encaustic paintings with intricate layers of beeswax for a transparent and luminous effect! I am loving this raspberry pink beauty for #ProjectTownhouse. 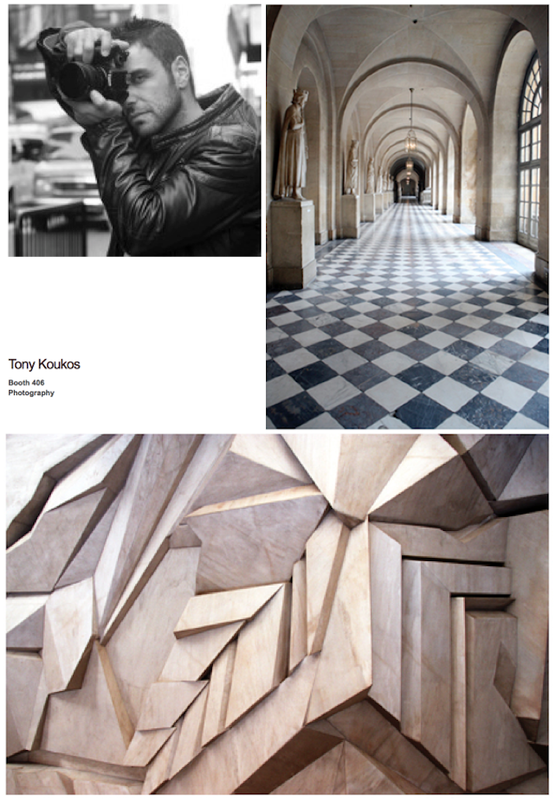 From painting to photography, I have always been mesmerized by the stunningly beautiful images captured by the talented Tony Koukos. His work is hugely popular among designers and think beyond a framed photo because Tony's striking photos can also be the backsplash in your kitchen, a wall mural, or as a dramatic drum shade of a chandelier in your dining room! 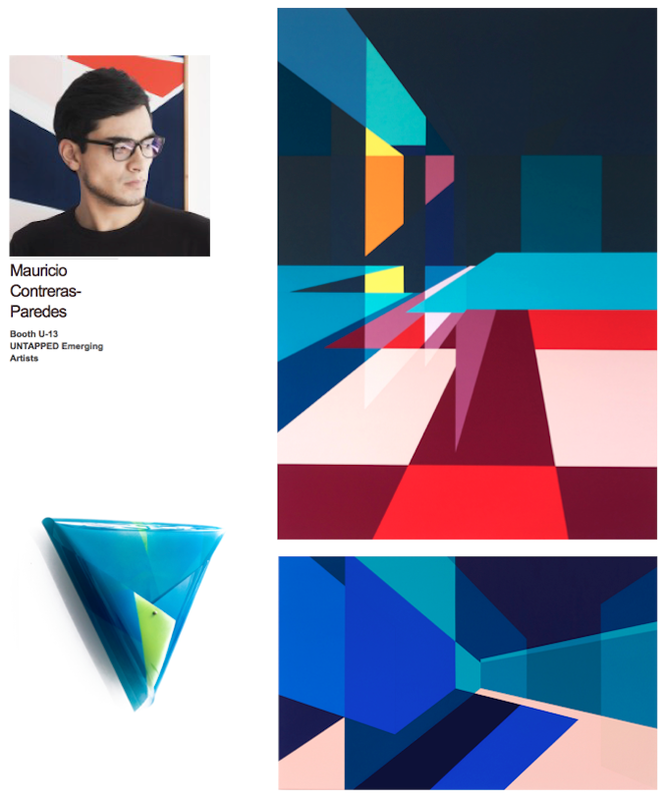 Last but not least, I love discovering emerging artist and at the 9th Artist Project, I am crazy about Mauricio Contreras-Paredes' abstraction interpretation of geometrical spaces that "blur the line between reality and imagination; between the present and a dystopian future". Booth U-13 is where I am going to be on Thursday night! 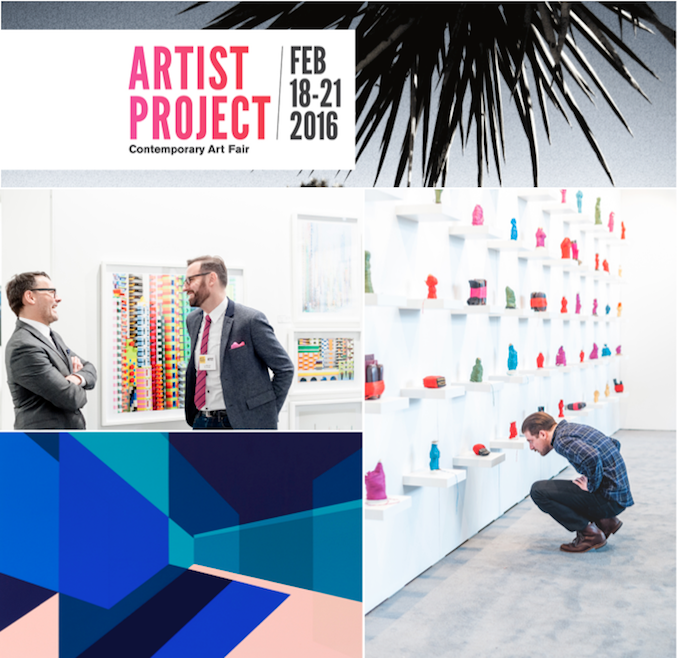 The exciting Artist Project runs from February 18 to 21 at the Better Living Centre, Exhibition Place. Tickets are available online and I will see you there! Thanks to Faulhaber Communications, one of you will win a pair of tickets to the show. Simply tag a friend on my Instagram pictures on Artist Project by Wednesday February 17th! Winner will be randomly selected and announced on Thursday February 18th.